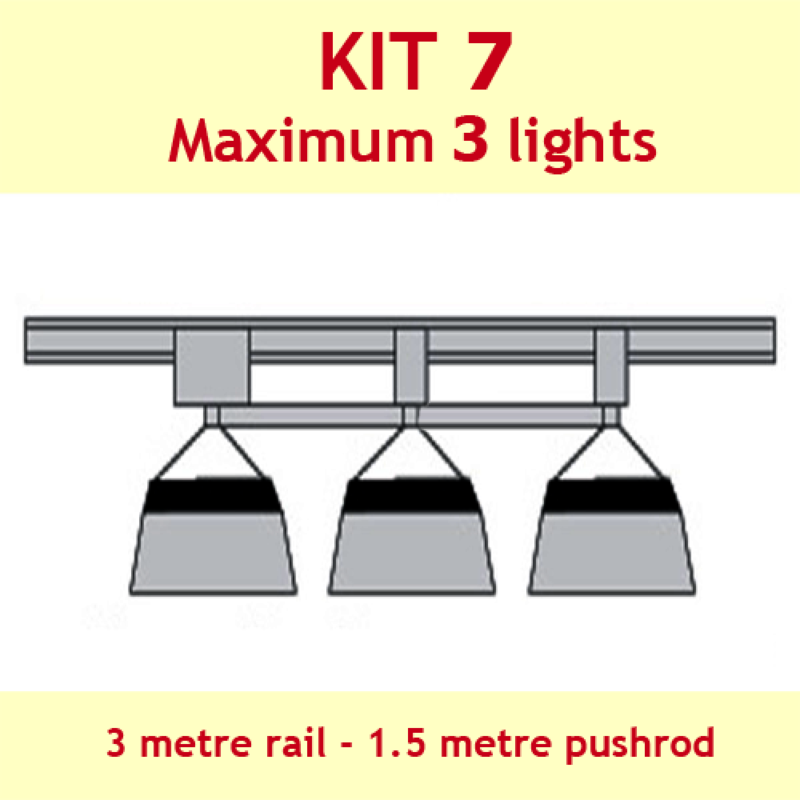 Kit 7 is suitable for 3 lights in line. Comes complete with the 3 mt rail. 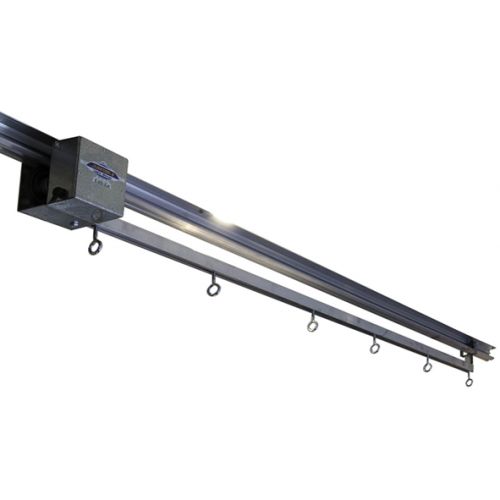 1.5 metre Adjustabar Pushrod with 6 eye bolts for hanging 3 light with globes in line with motor rail. 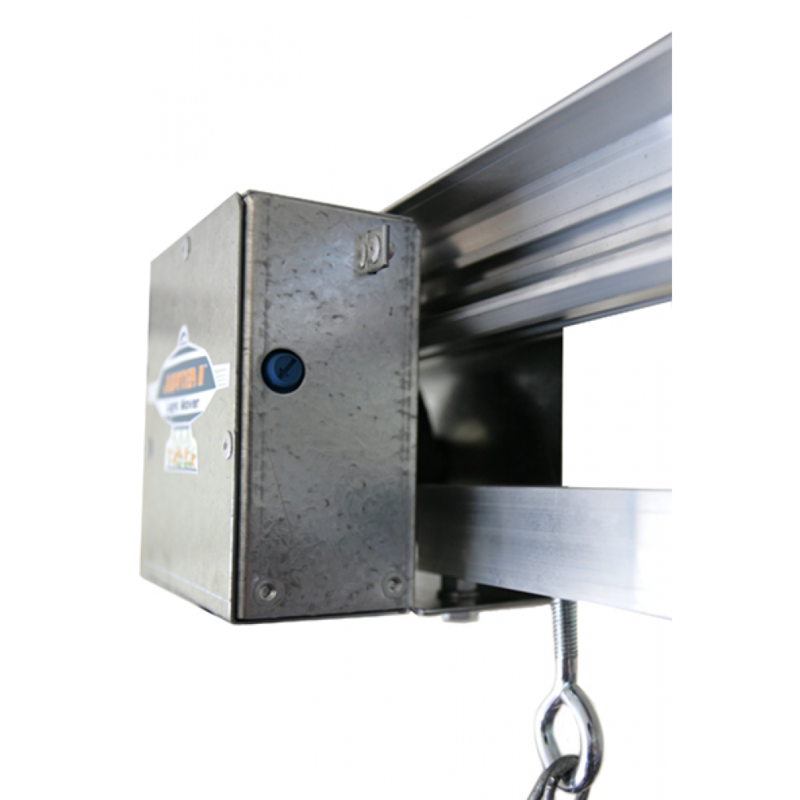 Prefer globes mounted 90 degrees to motor rail?